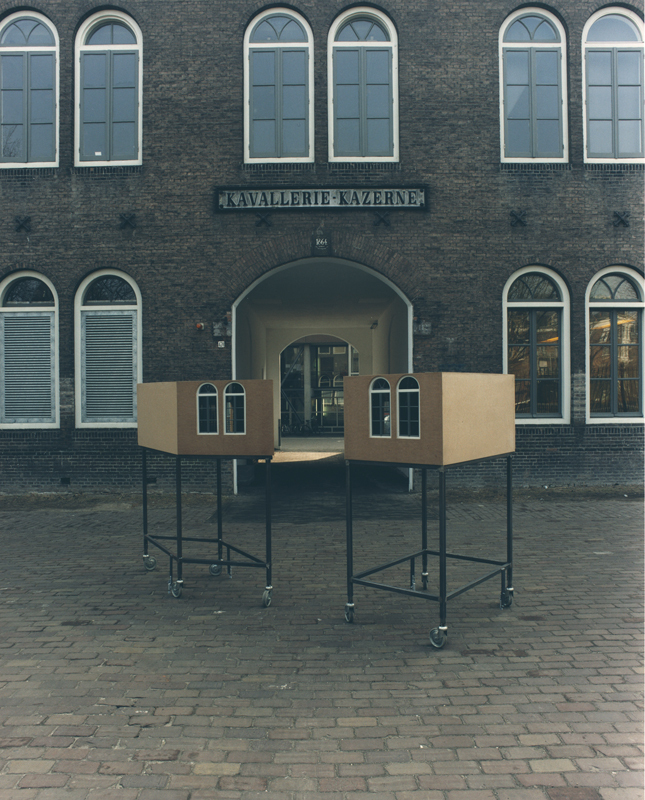 Two mobile models of ATELIER 217, one exact model and one skewed axonometrically into parallelogram. 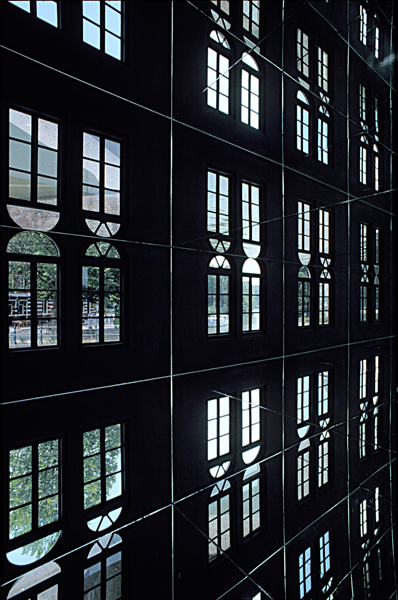 Four sheets of mirror mounted inside the model reflected the repetition of the model's one window and diverse exterior views from this window. 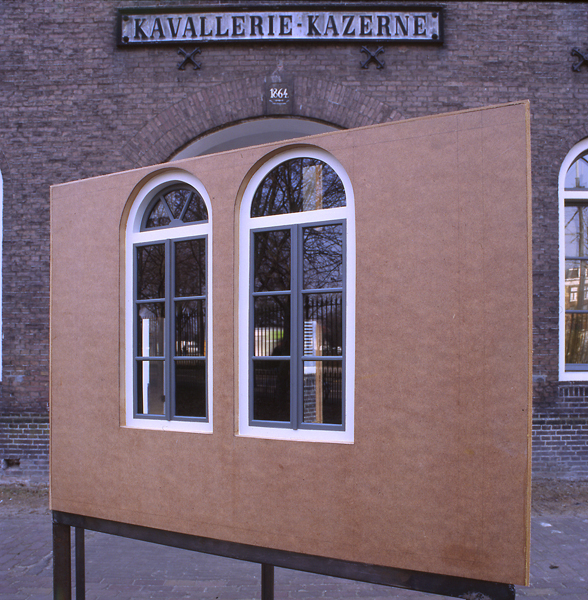 ATELIER 217 (1995, Amsterdam), moveable model studios mounted on casters, with four panel mirrors inside, is a replica of ATELIER 217 at the Rijksakademie. I have made my own space free to move. 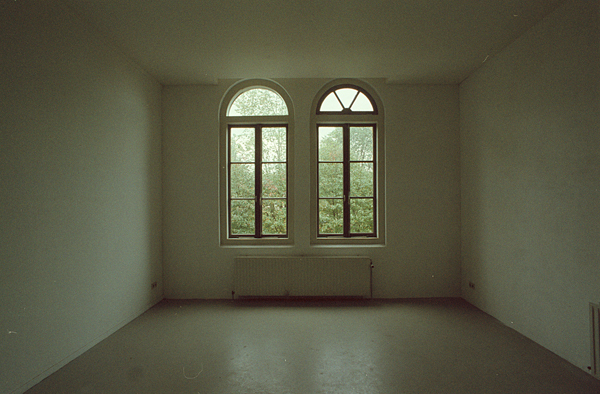 In one of the models, I have simply shrunk my studio. 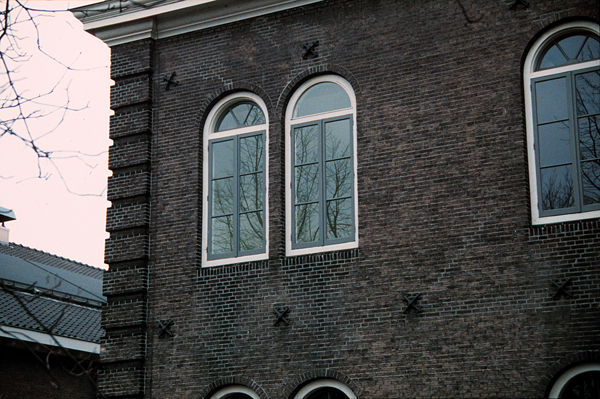 In the other, I have axonometrically deformed it (using parallel perspective, as seen from an angle, above). 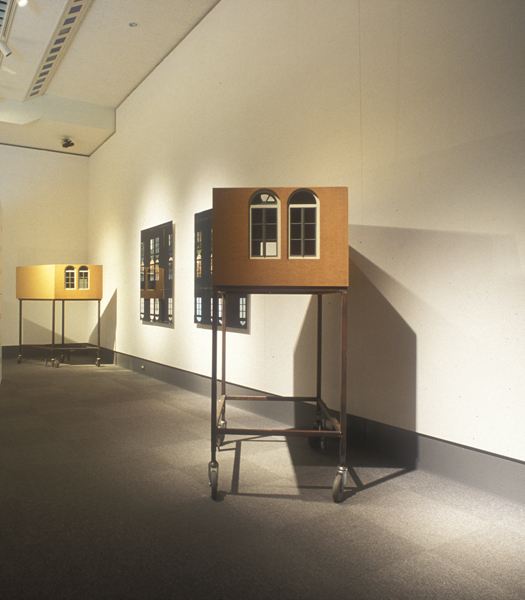 The mirrors inside the model reflect the exterior environment visible from the windows inside the model studio, showing reversed and inverted images. 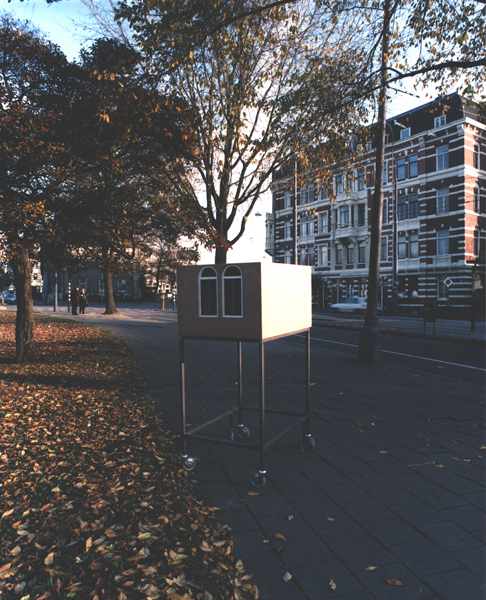 While moving this portable model studio on the roads in public spaces, I photographed the exterior environment as reflected in the mirrors within it at each point. 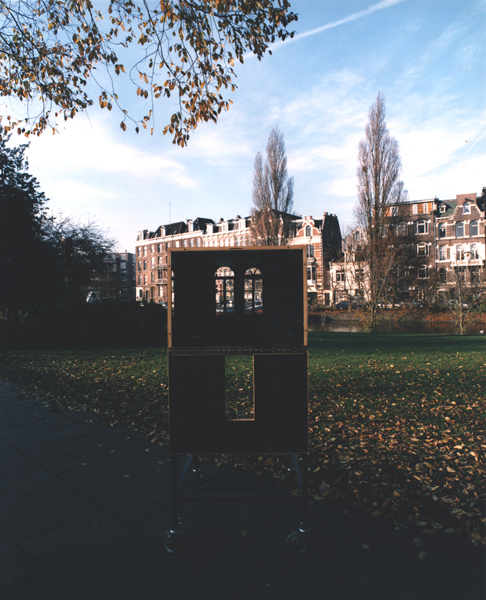 That moveable model studio has much in common with a large-format camera. 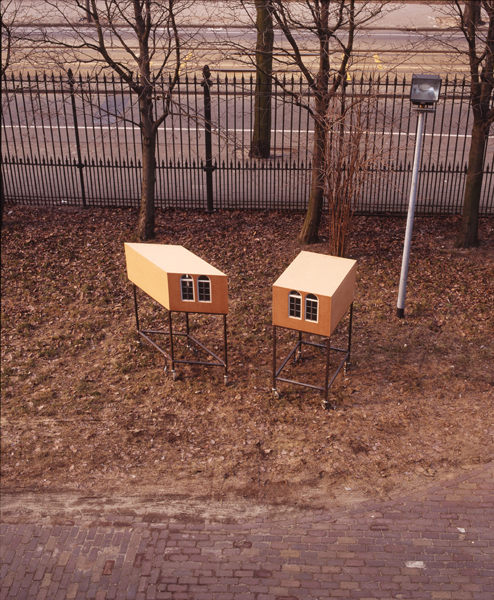 Thus these are the representation of the rooms as well as the rooms for representation, like the camera obscura, a movable chamber that could be placed outdoors. 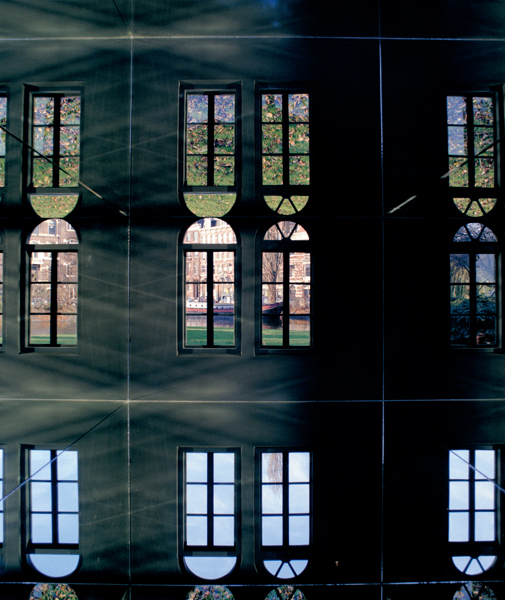 By transforming the artist's studio into a visual device for copying the real world, I am ultimately creating the link between camera, photography and architecture.